Florida Archery Foundation (FAF), located on Florida's Treasure Coast, is a 501(c)3 nonprofit organization that promotes the sport of archery as a lifelong opportunity for personal development. With a Board of Directors of senior, successful business people from inside and outside the archery world, FAF is dedicated to building a broad base of involvement in organized archery, and leveraging that involvement to create Confidence, Character and a sense of Community in all of our participants. At Florida Archery Foundation, we are in the business of building self-confidence. With our experienced coaches and through our progressive awards program, we empower athletes to grow not only as archers, but also as individuals. We see lives change through the employment of specific curriculum. 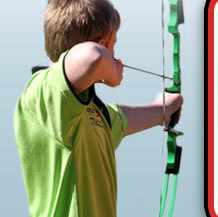 Increased strength, balance, stamina, and coordination are just a few of the physical benefits associated with archery. Stress reduction, positive social behavior, and increased self image are some of the many psychological assets of this sport. We emphasize sportsmanship, cooperation, and dedication. Archery is an individual sport, but relies on a community of camaraderie. It is a recreational activity the entire family is capable of participating in, regardless of age or ability. Just want to come in and shoot? Click Here to reserve your spot! 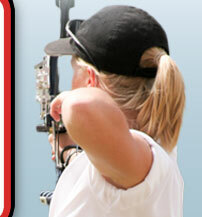 We invite you to Contact Us to learn more about Florida Archery Foundation.